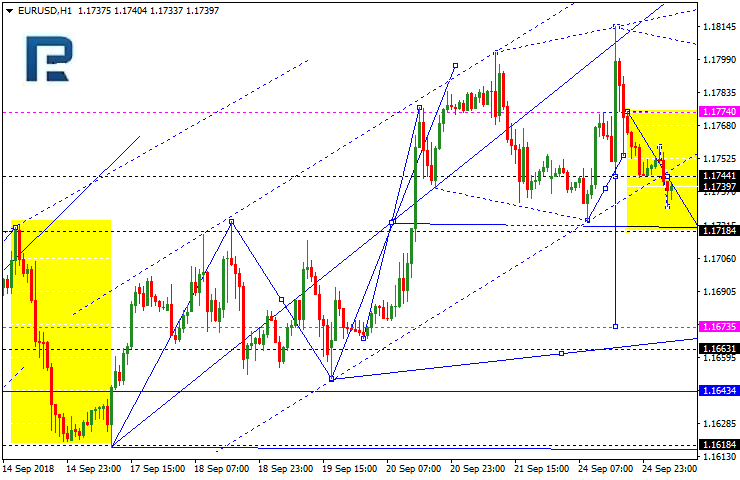 The EUR/USD is trading within the first downward wave and may reach 1.1714 today. Then, it may go down to 1.1744, and fall back to $1.1673, which is going to be the first target. The GBP/USD is being under pressure and may reach 1.3025 today. 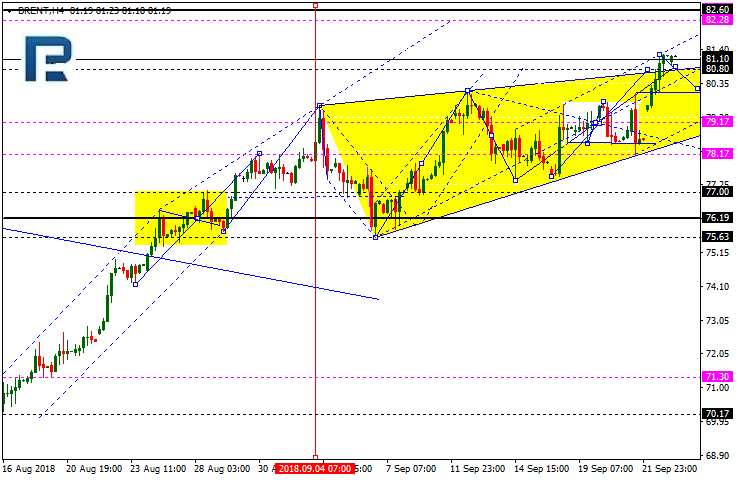 Then, it may go down to 1.3165, and after that a downtrend may start, with the target at 1.2880. 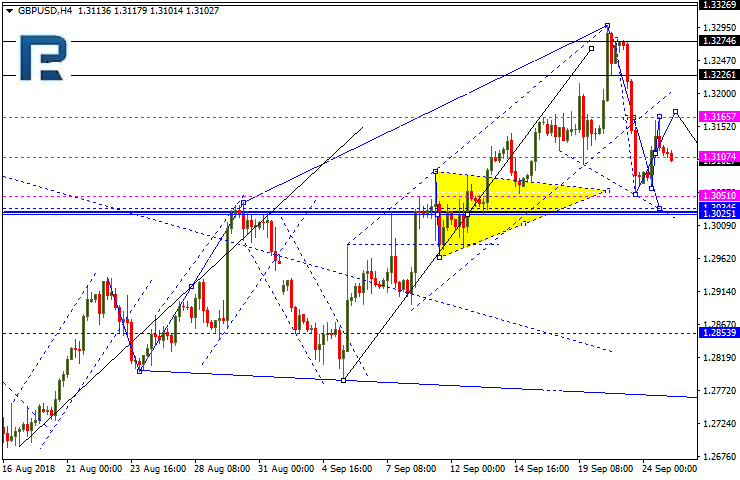 The USD/CHF reached its target while rising. The consolidation range around 0.9631 has been broken out, and the rising wave is on again. Today, the pair may reach 0.9682, which is a local target. Then, it is likely to correct to 0.9631, and after that again is likely to rise to $0.9721, which is going to be the first target. 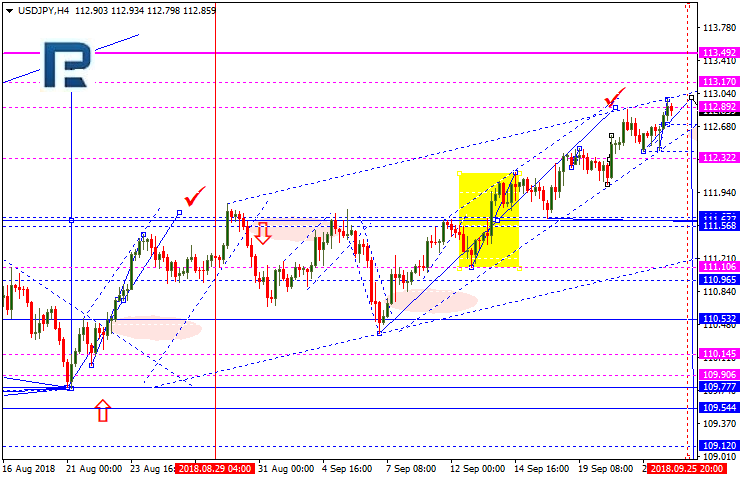 The USDJPY was unable to hit the rising channel. Today, the price may reach 113.00, which looks like the rising wave 3. Then, the pair may pull back to 111.64, and then give another rise to 113.42. Further uptrend continuation may only be considered as an alternative scenario. 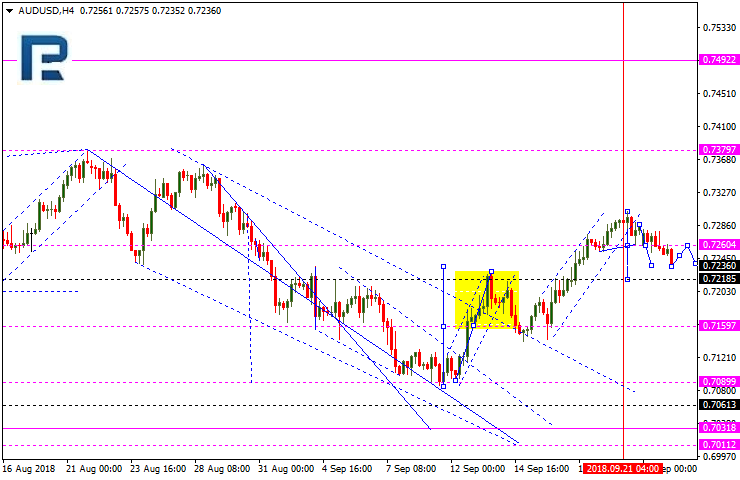 The AUD/USD was able to hit the third descending wave target. 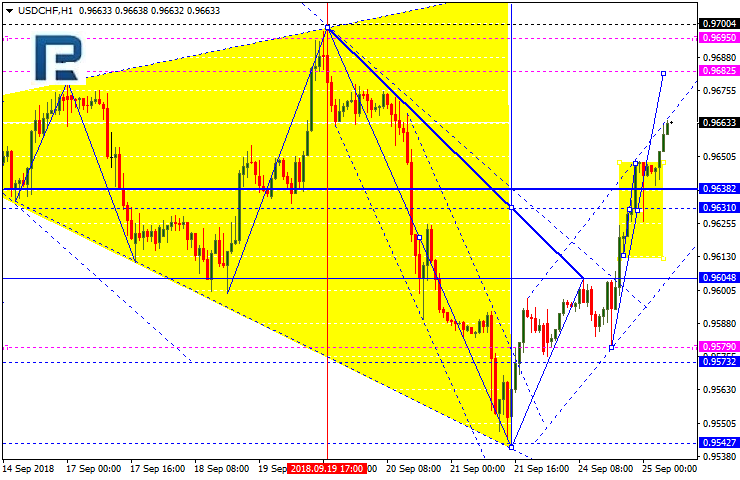 Today, it may rise to 0.7260, and then fall till 0.7218, which is going to be the first target. The USDRUB was able to reach the first descending wave target. 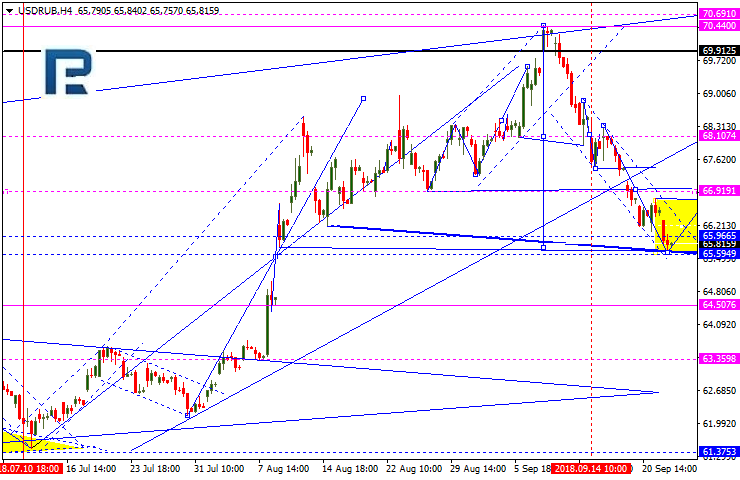 The pole pattern formed may now turn into a flag, with the correction target at 68.10. 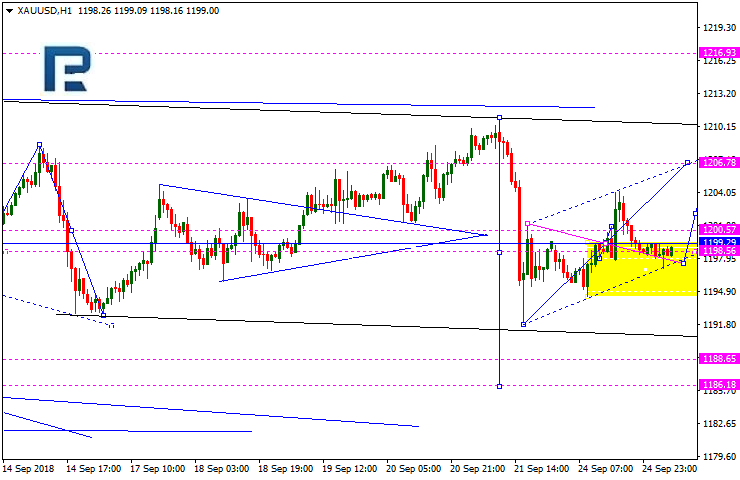 Gold is trading within a consolidation range near $1199.29. Today, it may correct upwards 1206.78, and then go down to reach 1190.23, i.e. a local target. Brent crude reached the local uptrend target and may now correct towards $80.00; once it gets broken out, it may go down further to reach $79.15, but then is likely to return to $82.20, which is a strategic target.